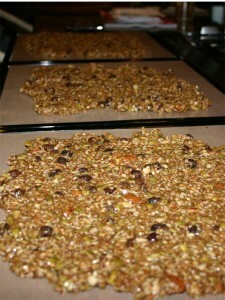 I normally don’t like granola. It’s not the taste of it that bothers me but, rather, how my body processes it. Even though I chew everything like a million times, something just doesn’t digest the best as it goes through me. All the power bars that are packed with dense calorie based ‘nutrition’ I usually just leave on the shelf. Well, the other day I decided to give a raw version a try. 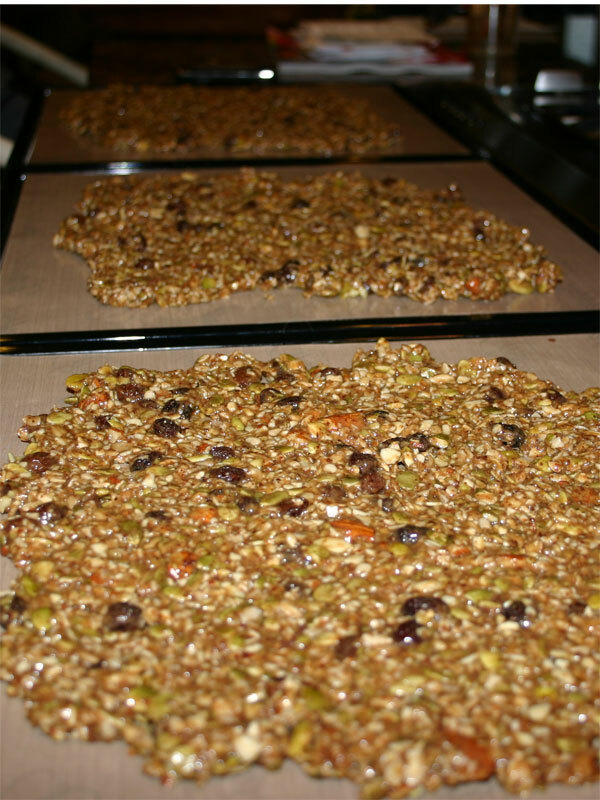 I’m not sure what attracted me to the recipe, but it felt like the thing to do so I gave the “It’s RAW granola …. gRAWnola time!!! !” recipe from The Raw Seed website a try. 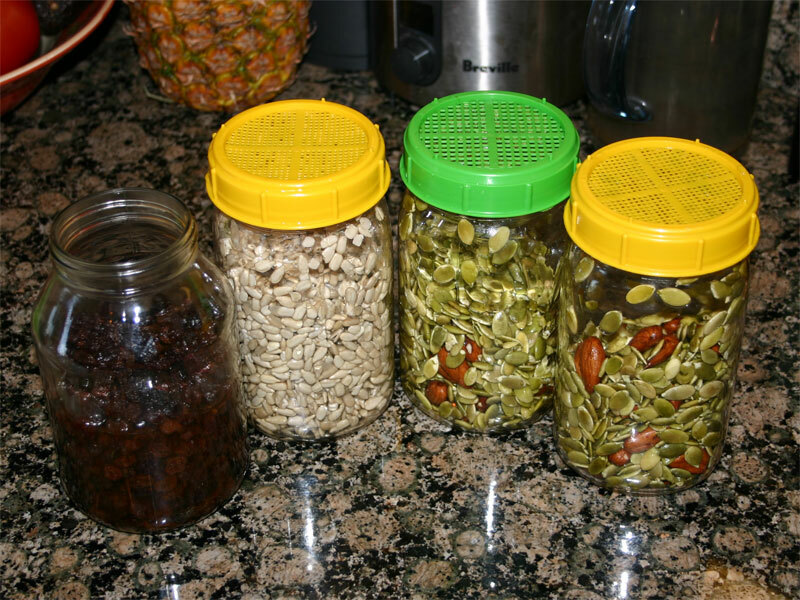 The thing that stands out about this recipe is that it’s mainly sunflower seeds, pumpkin (squash) seeds and raisins! 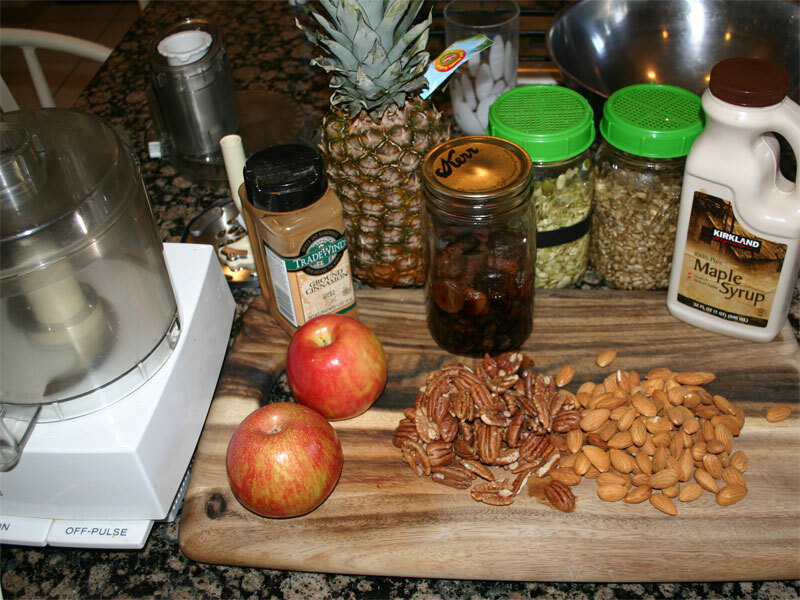 No grains, no nuts and a little bit of flavorings. 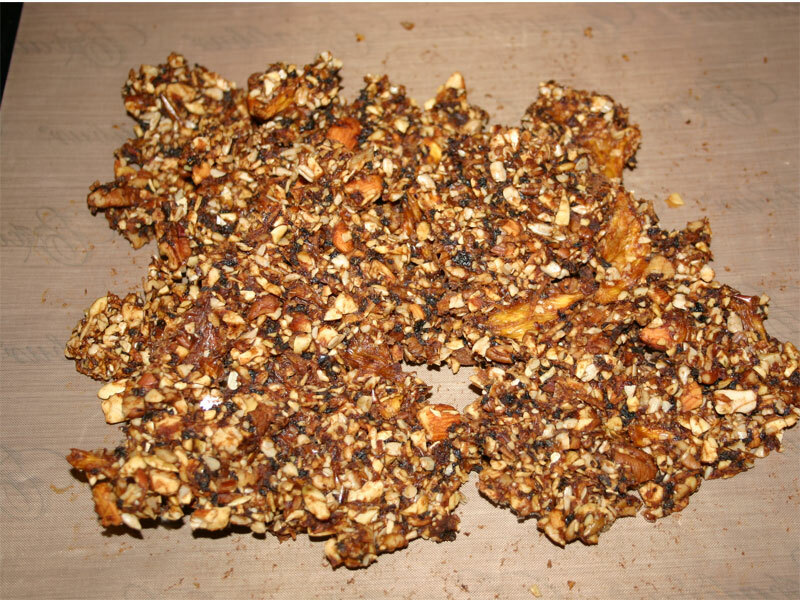 Meredith, from The Raw Seed, calls this recipe Cinnamon Raisin Banana Granola. 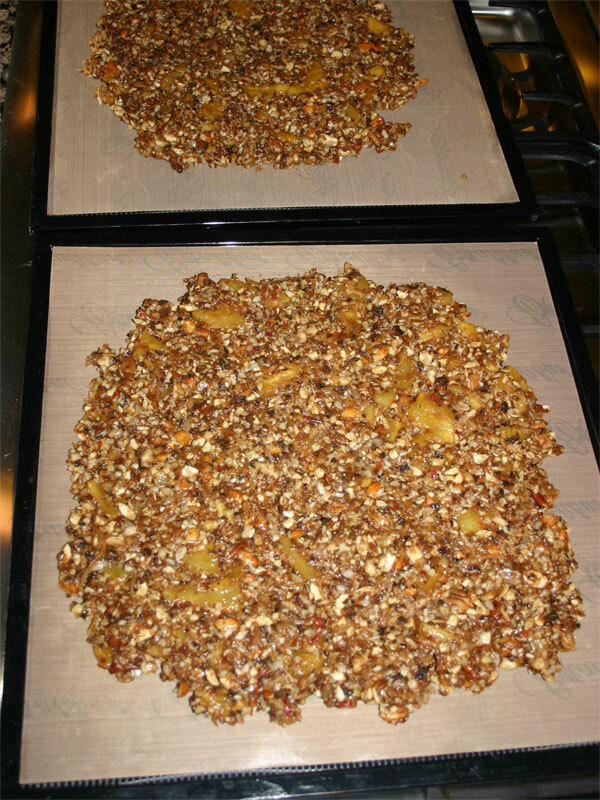 I would call it Orange Raisin Banana Granola with a hint of cinnamon! 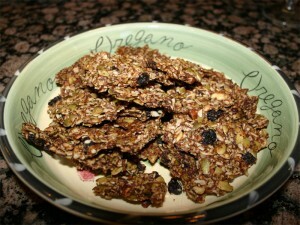 Visit The Raw Seed Websites Granola recipe. 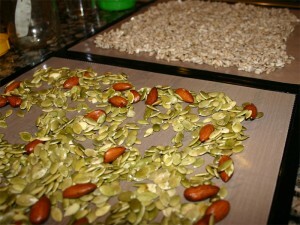 Meredith mentions that “using sprouted seeds is optional.” Well, I took that option. As you can see, I made a little modification to the recipe. Not only did I add a few almonds, but I also added the two cups raisins to water to rehydrate them. 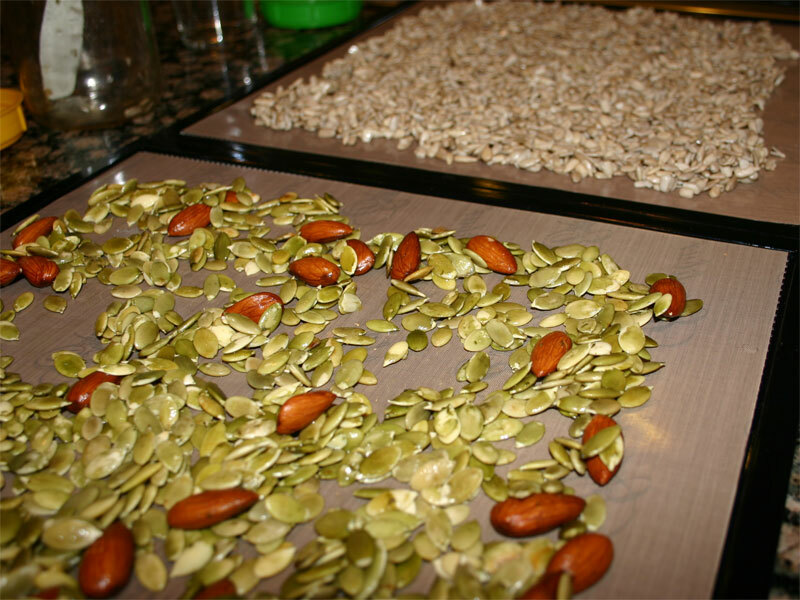 Sticking with the ‘option’ on the recipe, After getting the seeds started and rinsing them off really well, they went straight into the dehydrator until the next day. 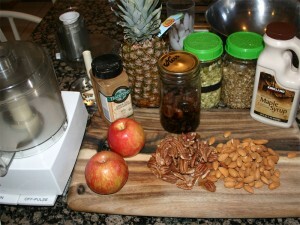 I don’t have any pictures of mixing this stuff, but that all happened in the food processor. I ran the seeds just long enough to break some of them down but not all of them. After placing the dry ingredients in the big mixing bowl, I rain the rest of the ingredients through the Vita-mix. That’s where the soaked raisins really broke down well. 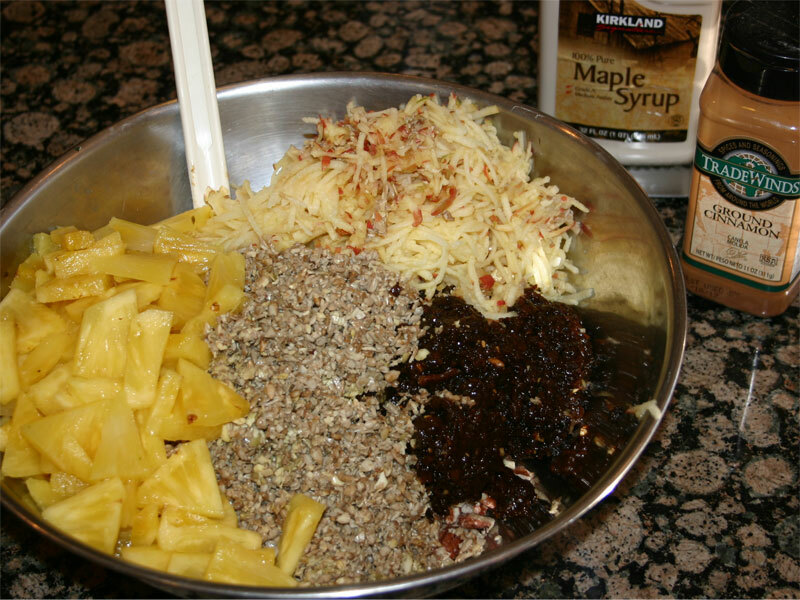 Another thing that I did that was a slight variation on the recipe is that I used a little extra orange juice. Next time I’d probably just through a pealed orange in the mix for the pulp would probably to the mixture good. After 12 hours per side, you get crunchy granola! Lunch time! 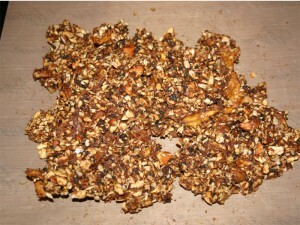 I think I’ll nibble on some homemade raw granola! Thanks Meredith for sharing!